From the foundation of Tamura Corporation in 1924 to this present day and age in which we find ourselves expanding our operations into evermore global fields, the mission of our group has not changed. We will always strive "to contribute to society by producing excellent products." Now, as part of our ongoing endeavor, our entire group will embark on a new venture-the challenge of building a new, more appealing Tamura bonded in unison as "One and Only Company." Innovative technology makes life for people around the globe more convenient and enjoyable. The world is continually pursing newer and more refined technology. Positioned in the heart of the electronics industry, which is undergoing such tremendous progression, the Tamura Group will do what only we can to meet the world's cry for next-generation technology. To that end our entire group is utilizing its combined years of experience and knowledge, working together as one body to continue numerous endeavors that foster creativity, refine development and increase cutting-edge technological capabilities. 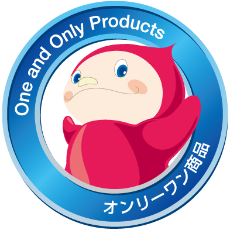 They are Tamura's Only One Products! Tamura's mission is to become an "One and Only Company" representing the company's commitment to actively contribute to the world now and in the future. To realize this mission, we recognize those products excellent in quality, cost and timing required by the market as Only One Products and focus on their development. Tamura is determined to become a company to respond to our customers' needs with products only Tamura can offer, based on its original technologies and unique ideas cultivated throughout its long history. What are the Premier Eco-Design Products? The Tamura Group has traditionally certified products that contribute to the reduction of environmental load for customers and society as “premier eco-design products” (evaluated on the basis of the Company’s own assessment standards). Starting in April 2017, in addition to the conventional standards, a new standard has been added to evaluate a product from the viewpoint of its contribution to solving social issues and to certify products that can contribute to the growth of the Company’s revenue. Our unique environmental assessment standards for products place an emphasis on the contents described below to evaluate and certify products. In addition, as the technology level in the market increases with time, we conduct review from time to time to determine whether a product could be kept certified as a premier eco-design product and always ensure that only those possessing cutting-edge eco-design are regarded as premier eco-design products.